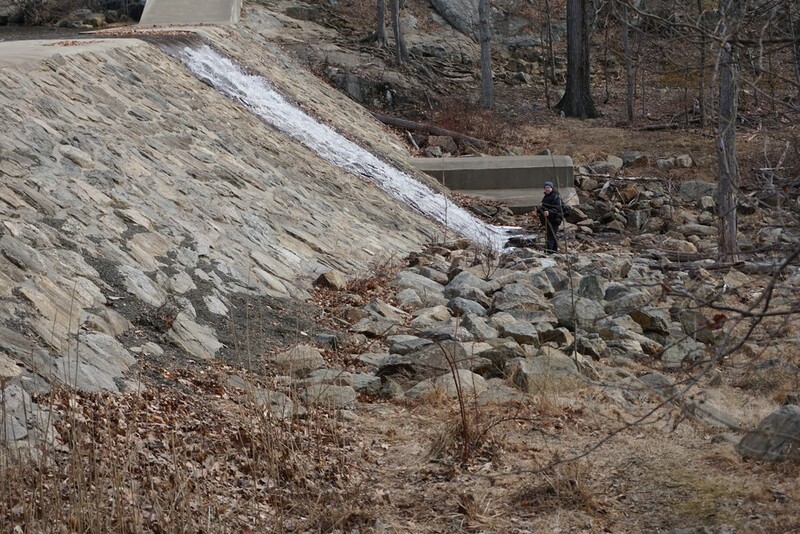 This was another warm day where we ended up short sleeves. 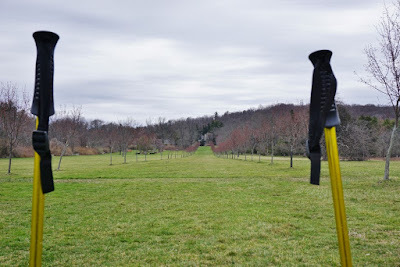 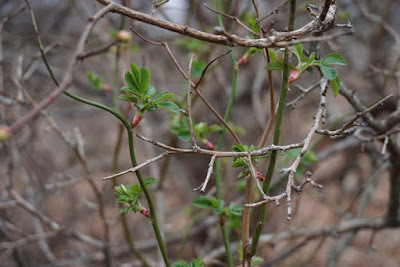 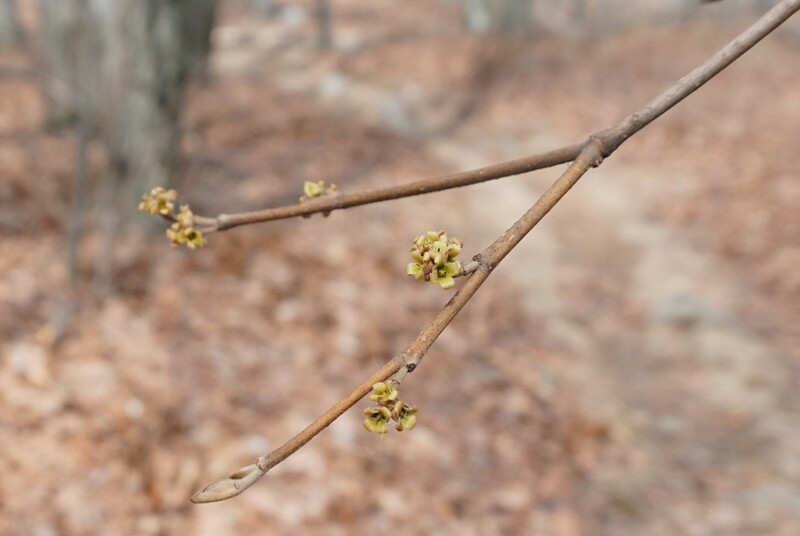 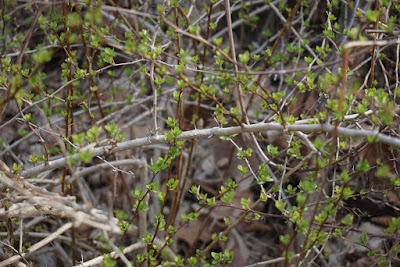 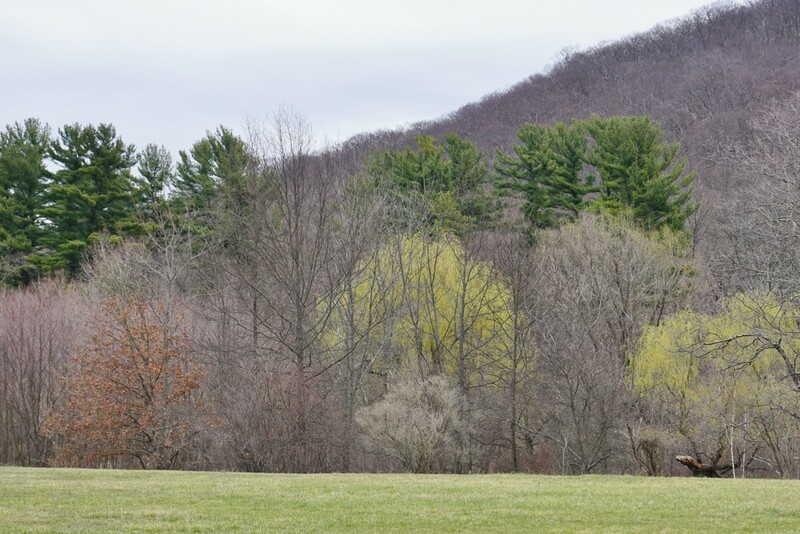 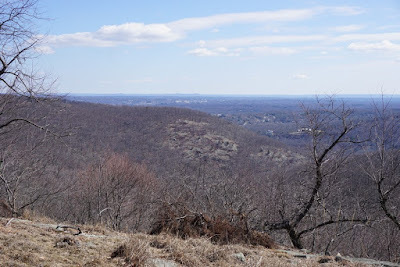 We parked up the hill on Skyline Drive, at the Schuber Trailhead, and took the Schuber Trail north to the Millstone Hill Trail. 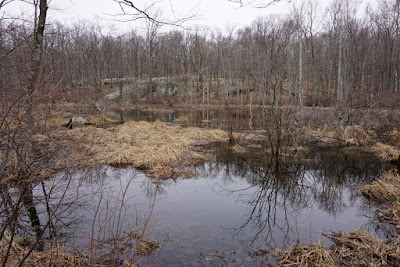 This area is generally non-dramatic and there aren't too many people in this area. 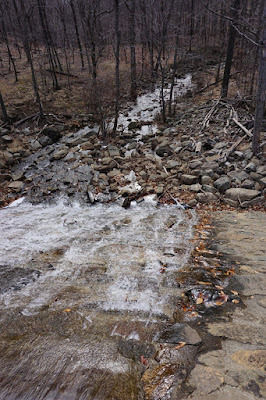 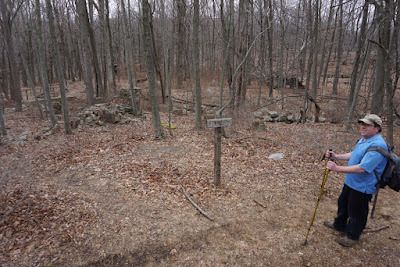 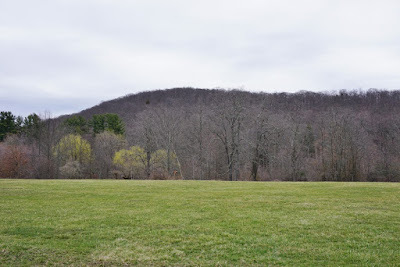 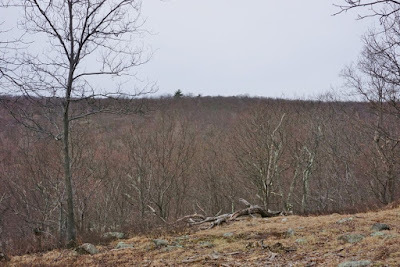 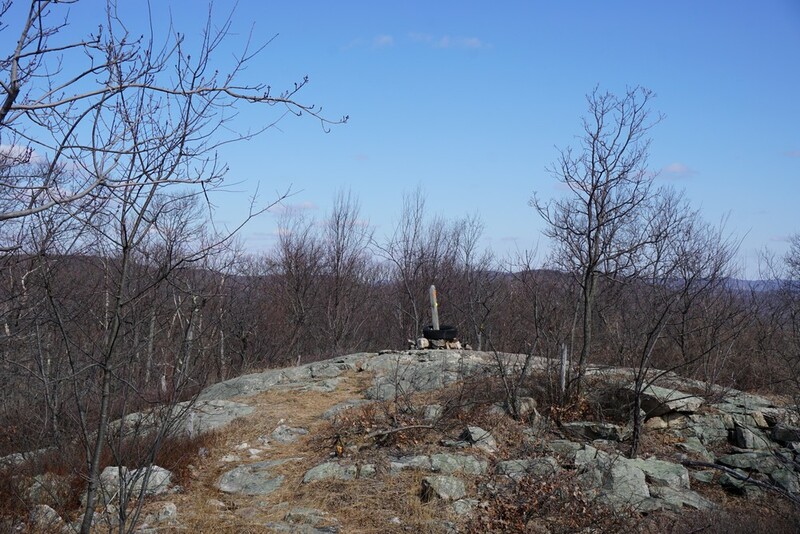 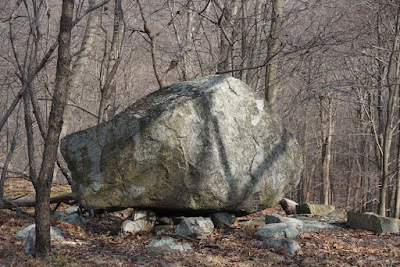 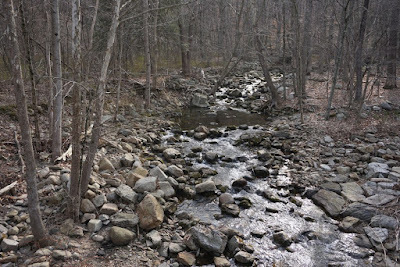 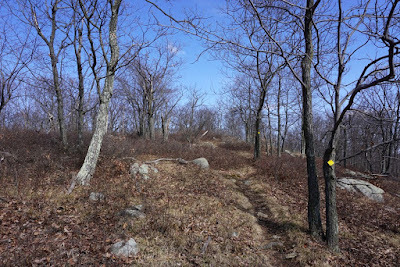 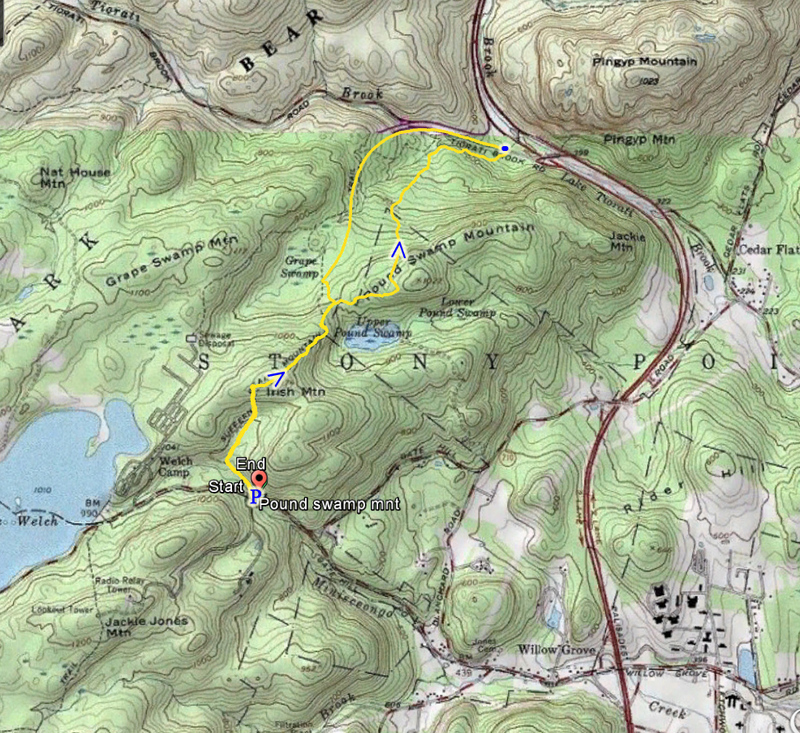 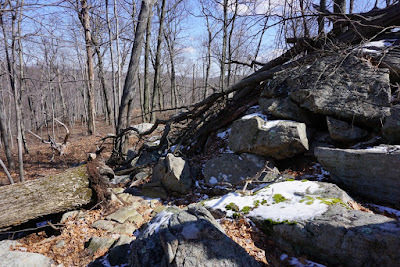 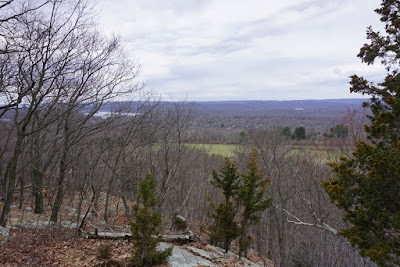 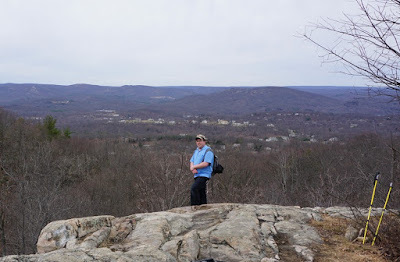 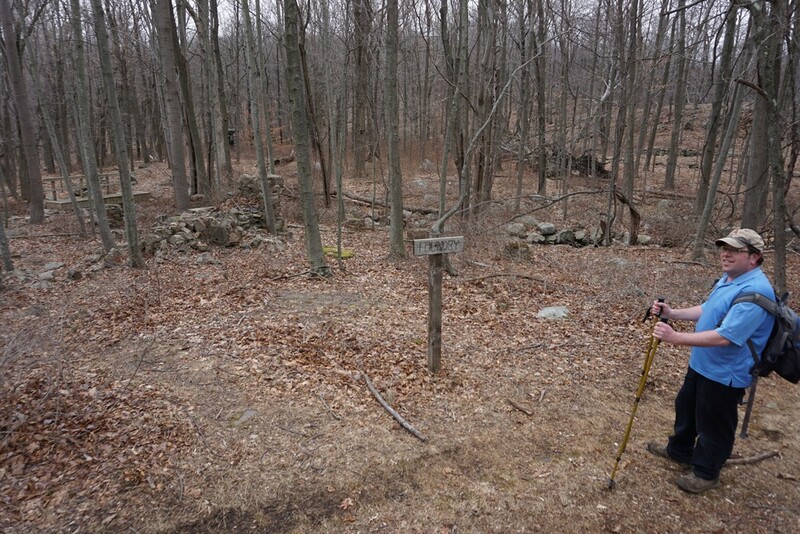 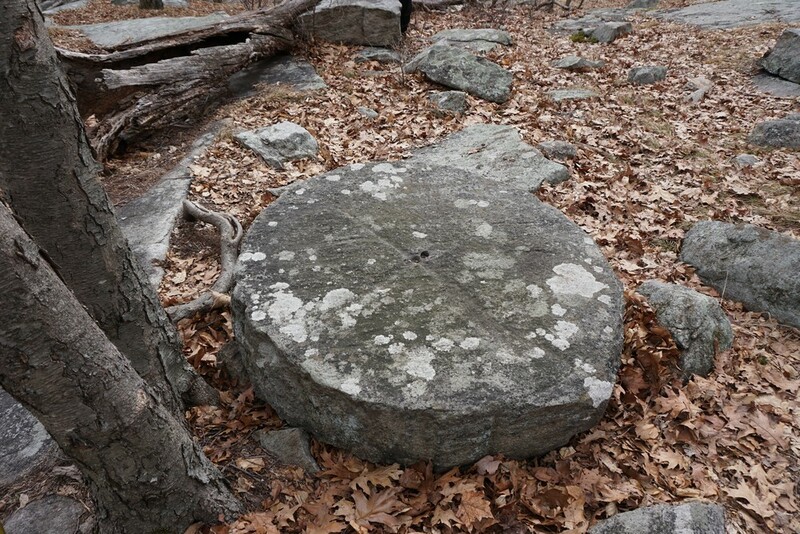 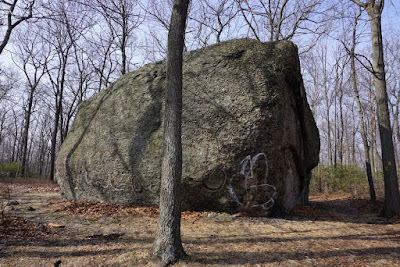 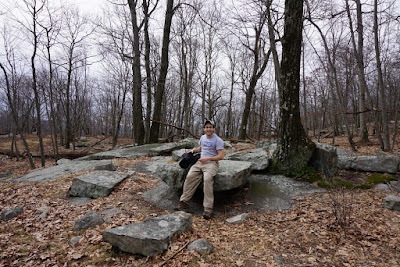 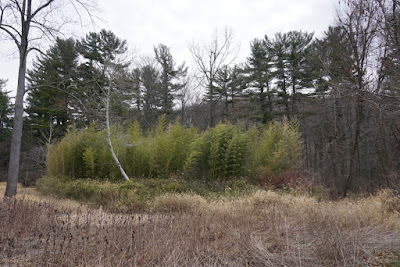 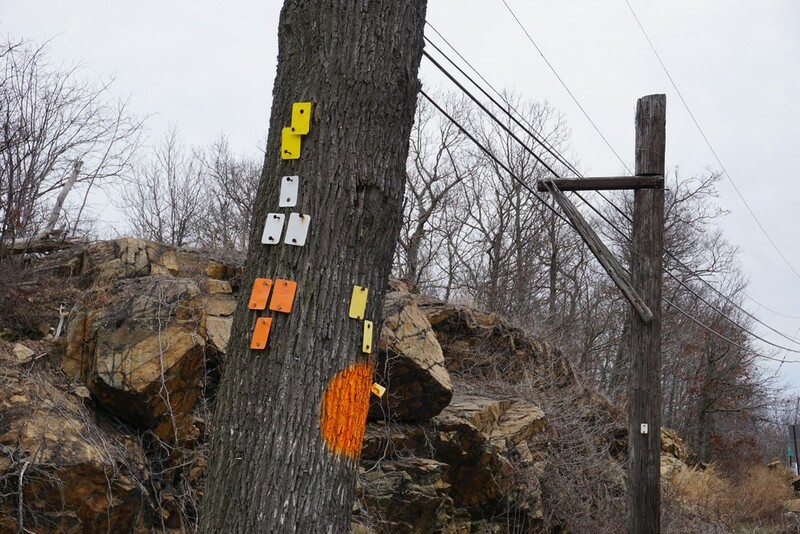 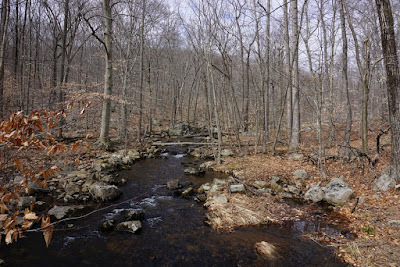 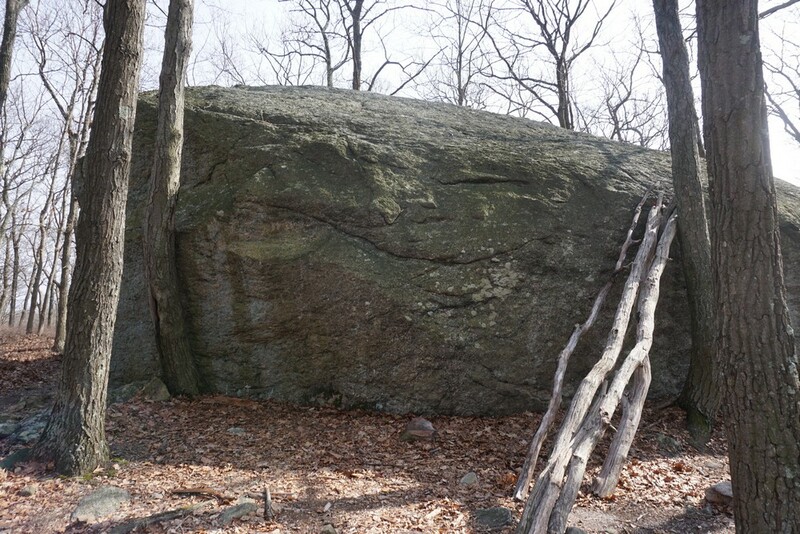 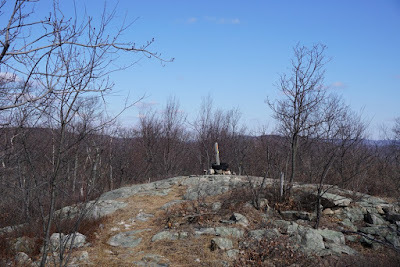 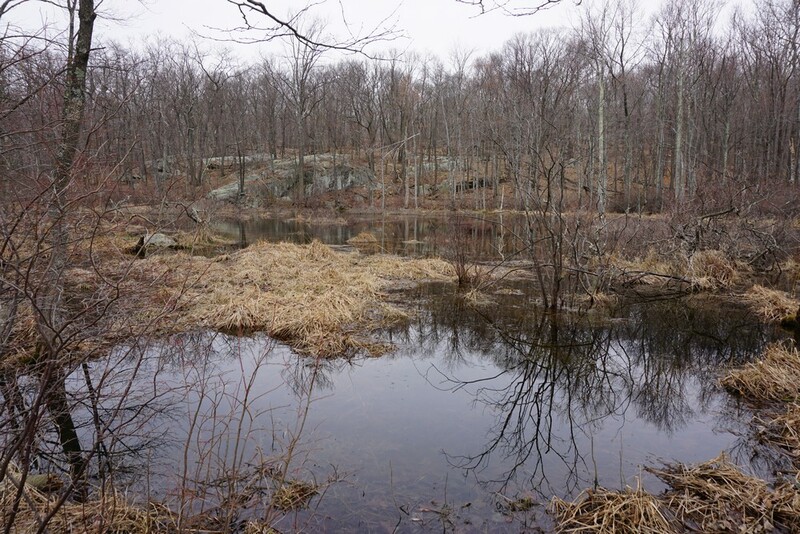 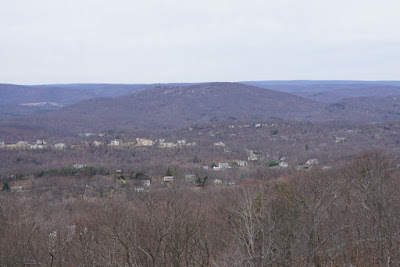 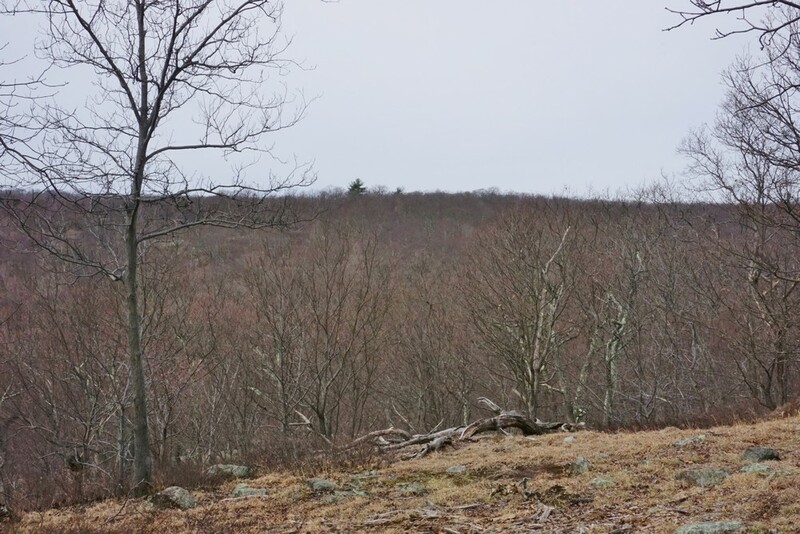 We climbed up Millstone Hill and then went down, observed the millstones, and then took the Yellow Trail across the Midvale Mountain Road and Fox Brook, back up the hill to the intersection with the Schuber Trail again. 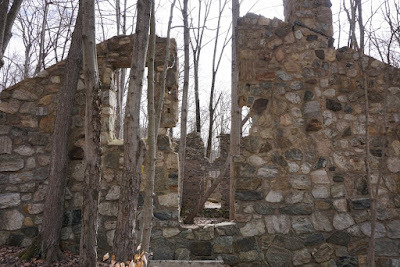 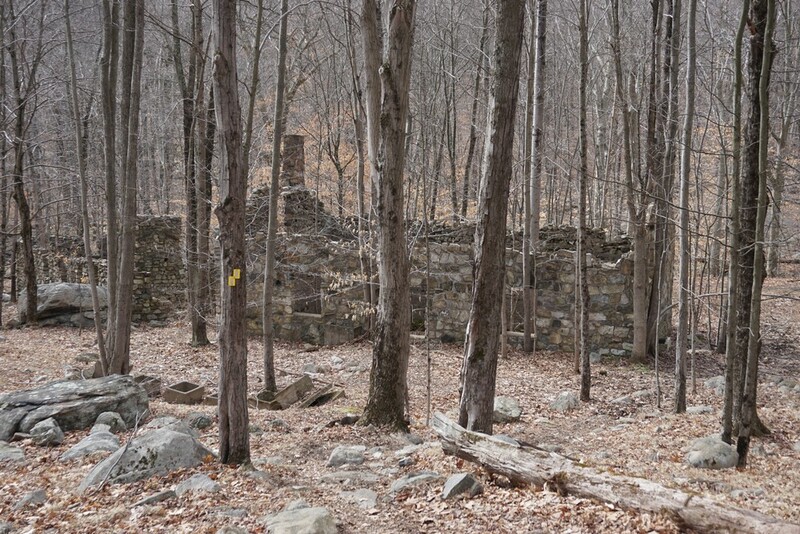 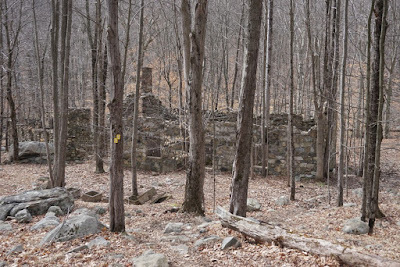 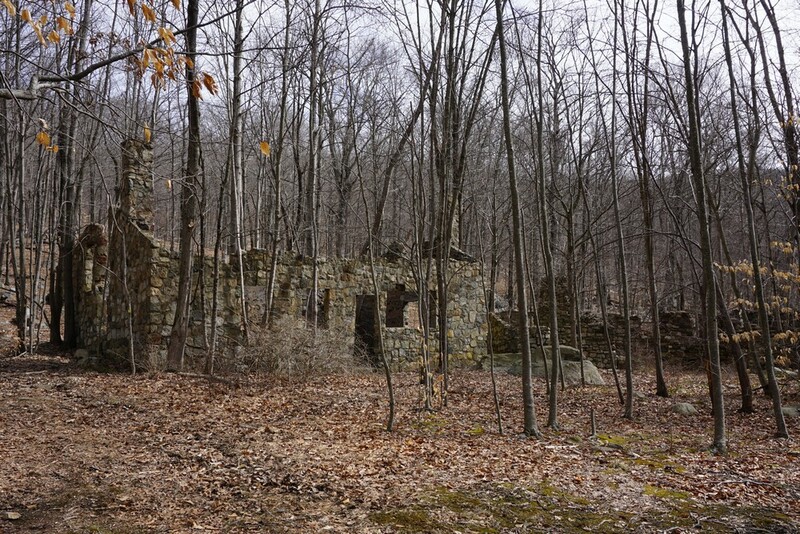 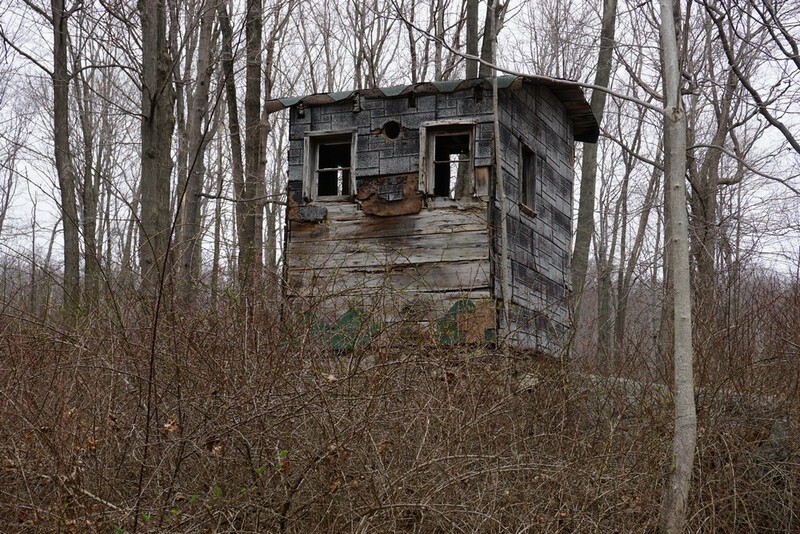 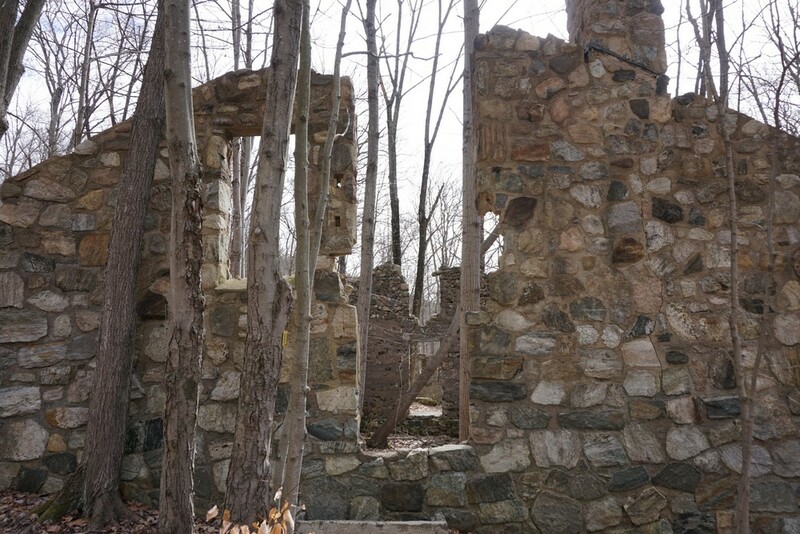 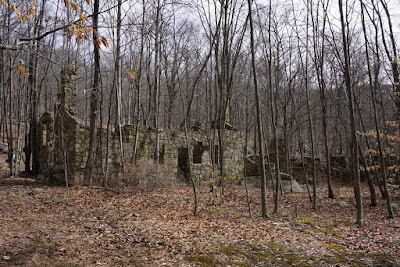 We had been in this exact area the previous week, and only this time noticed the abandoned farm properties and ruins. 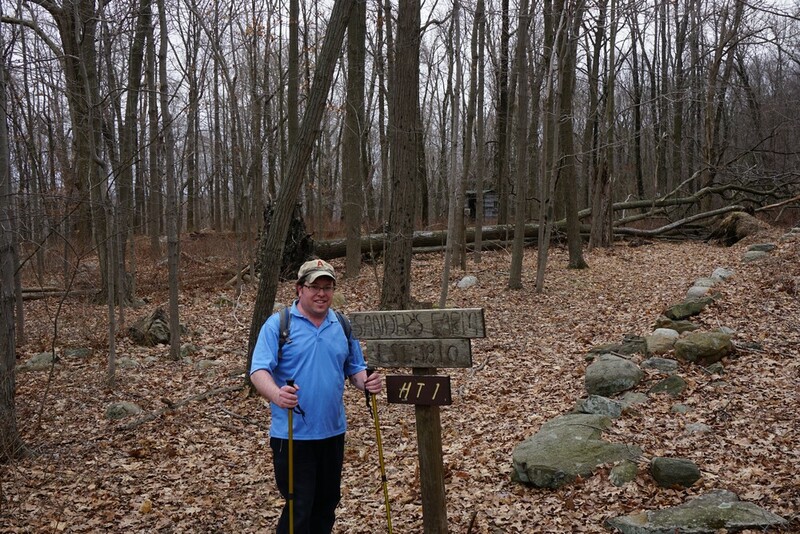 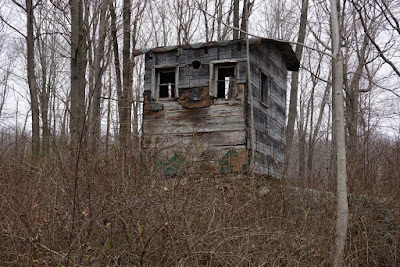 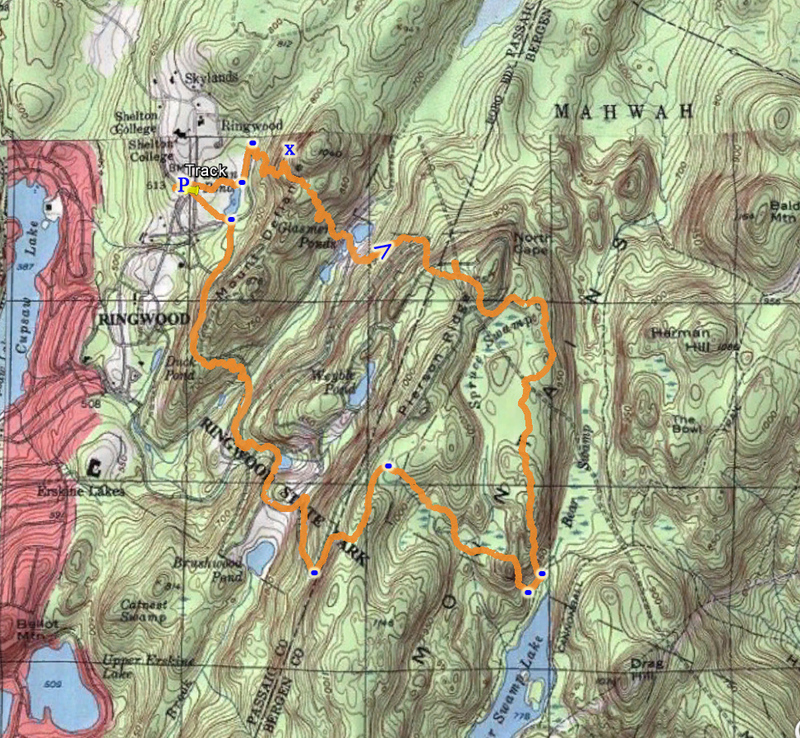 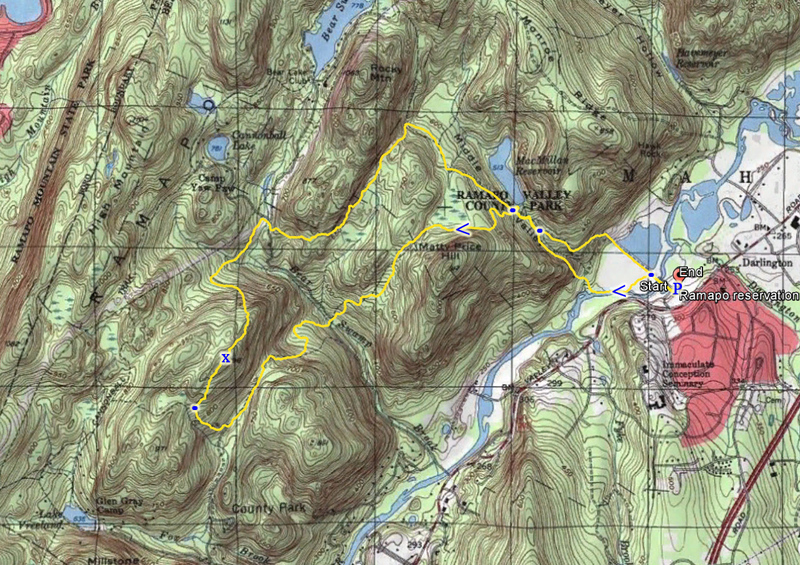 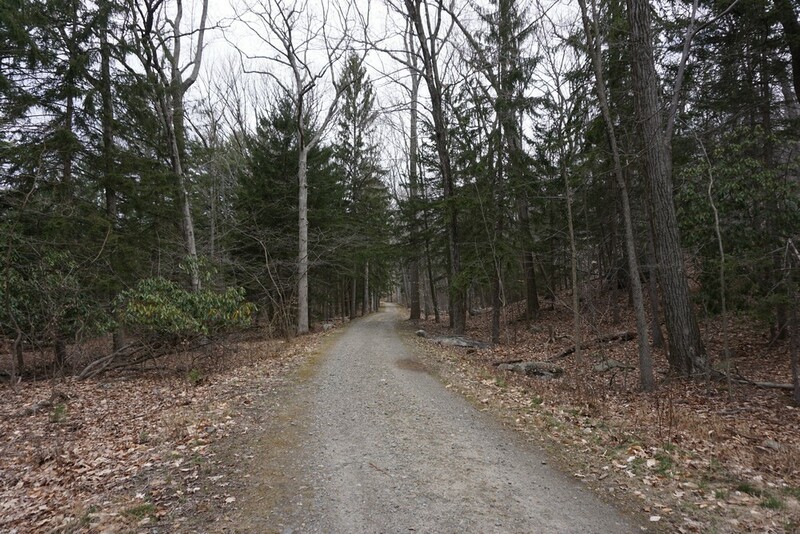 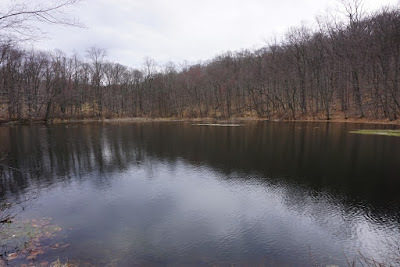 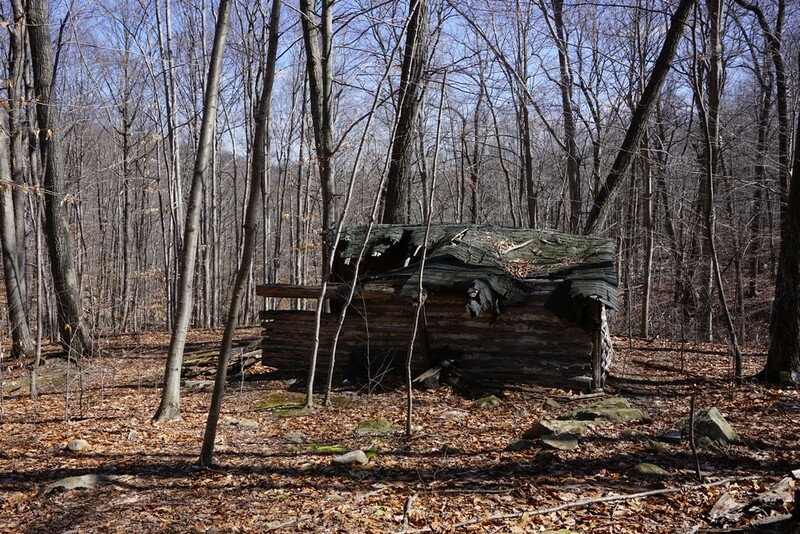 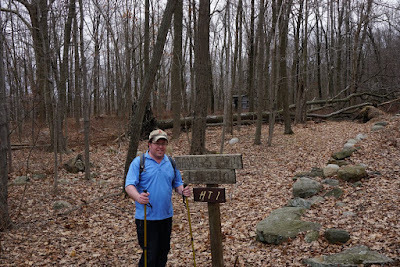 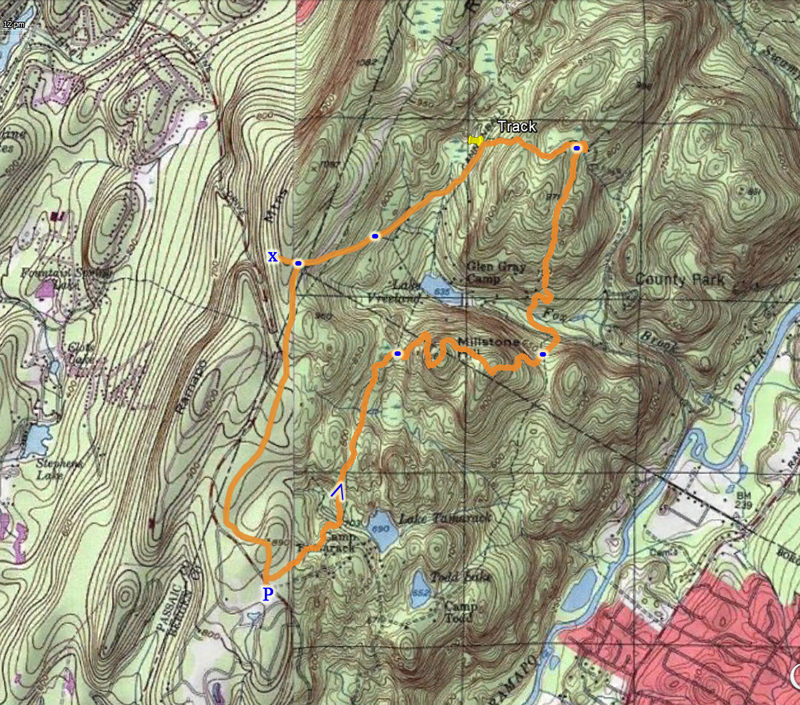 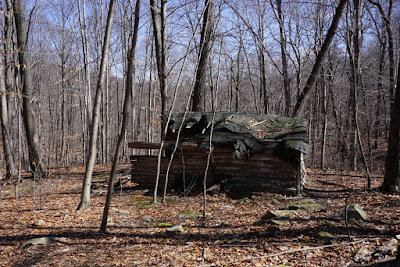 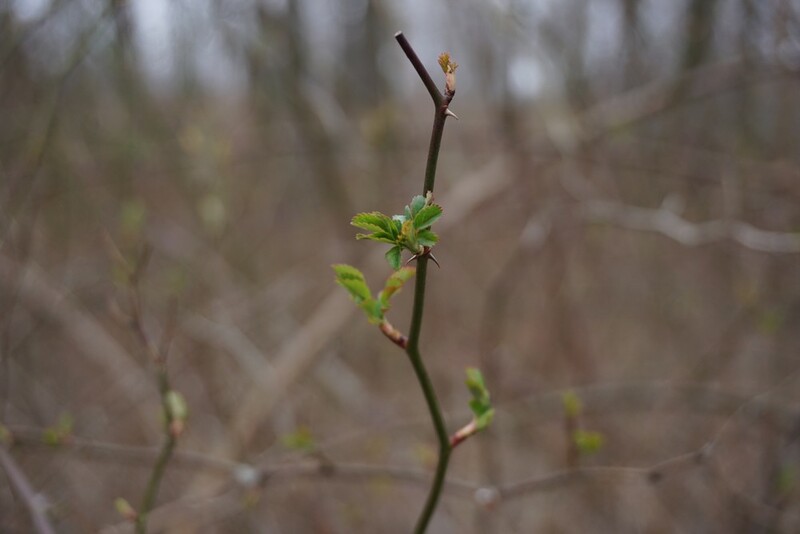 We then continued through Camp Glen Gray, around the area of all the camping structures, to the Matapan Rock Trail. 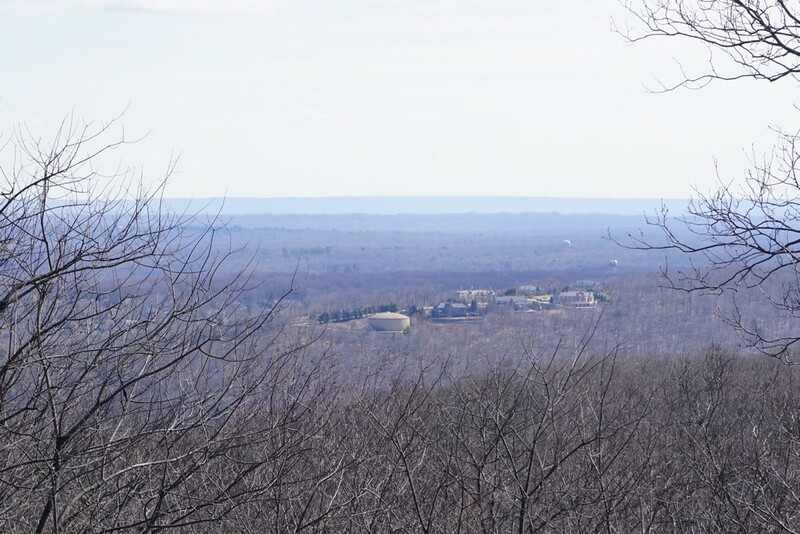 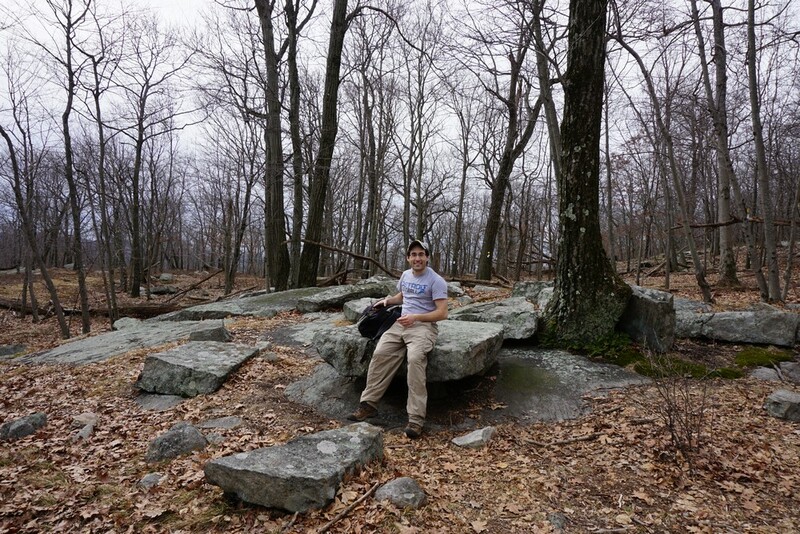 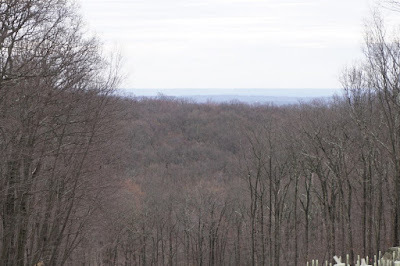 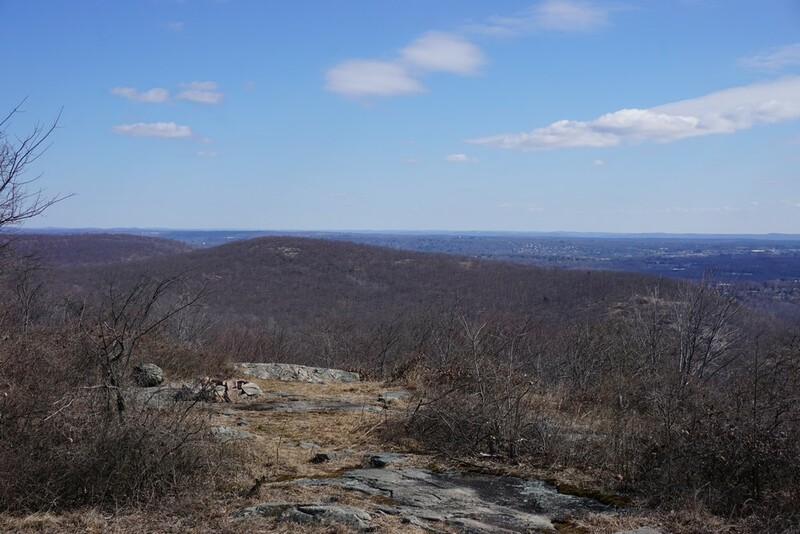 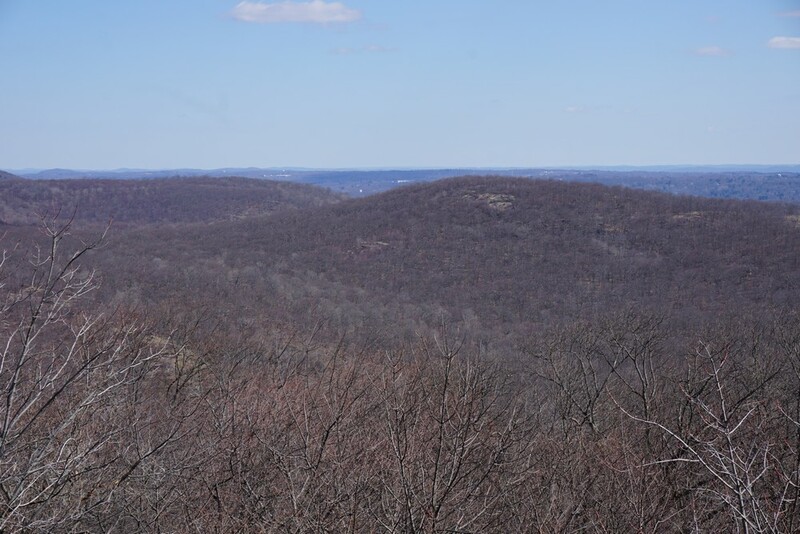 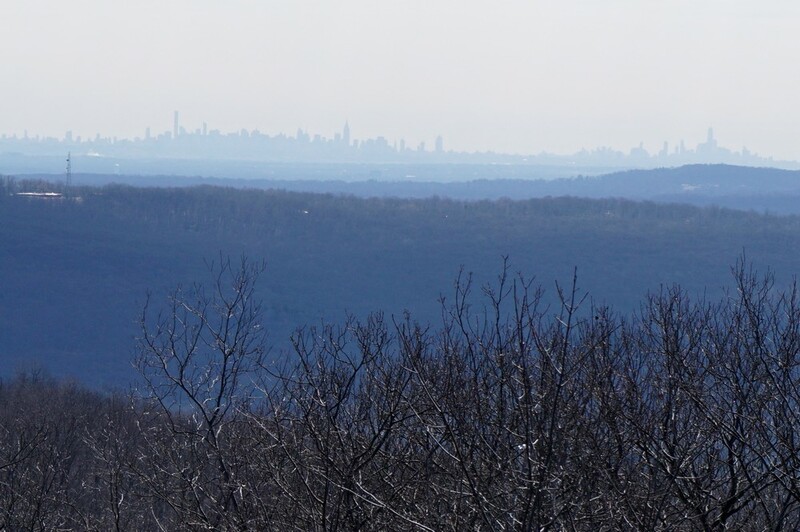 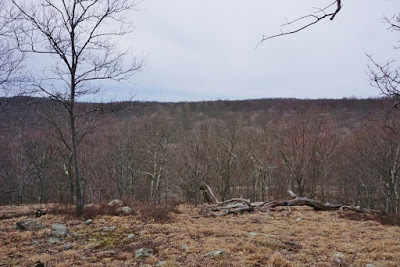 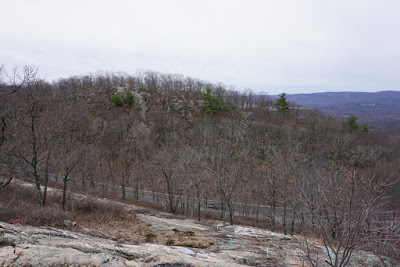 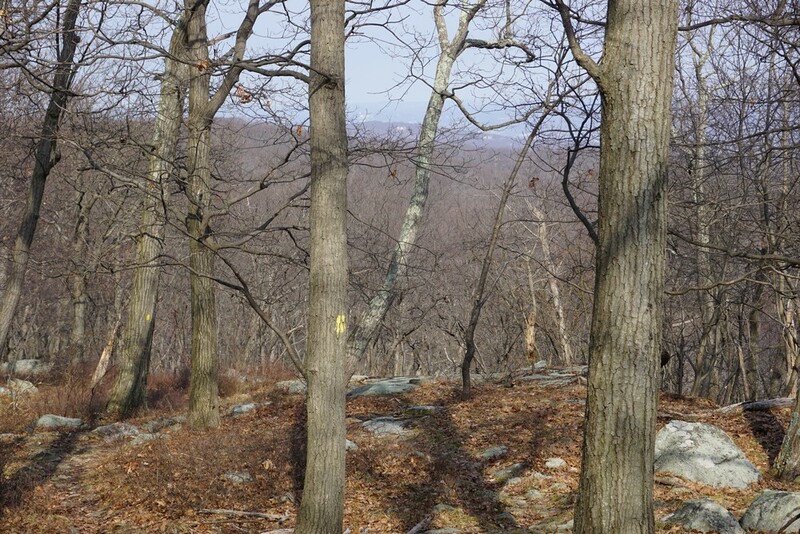 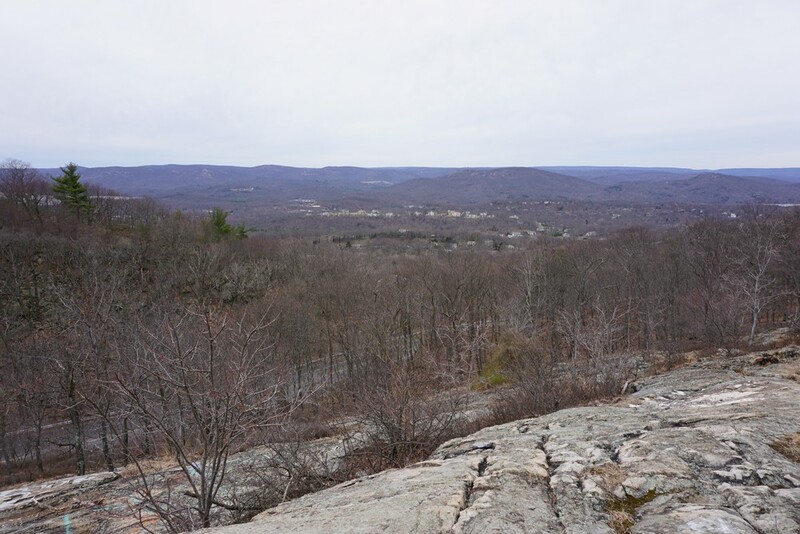 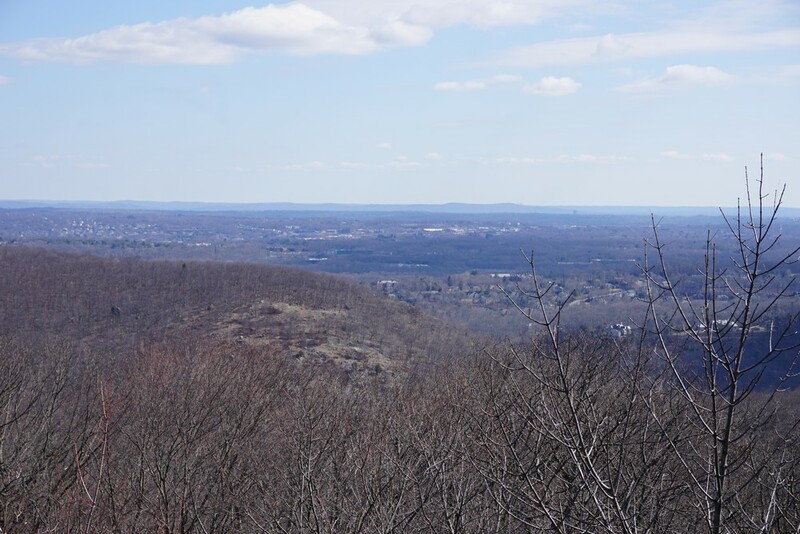 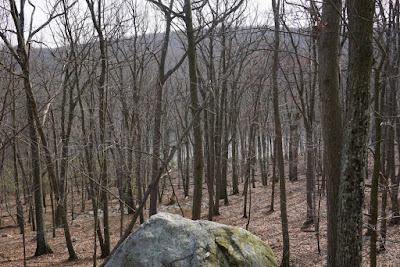 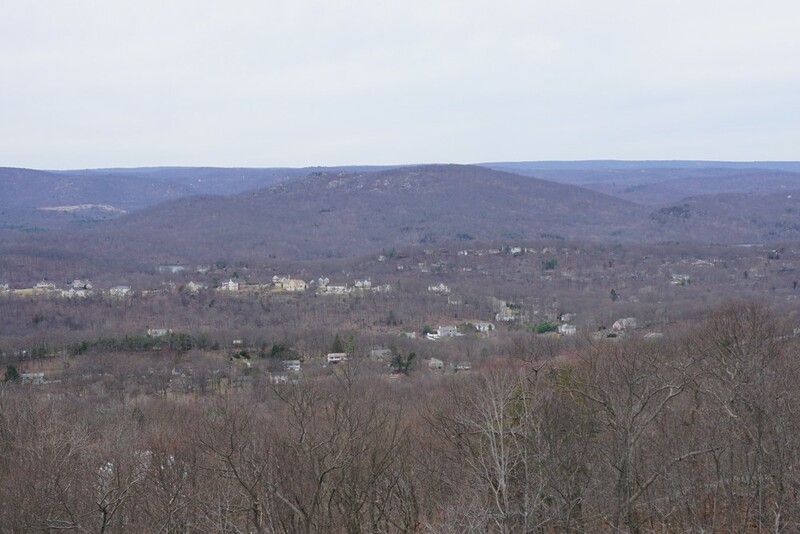 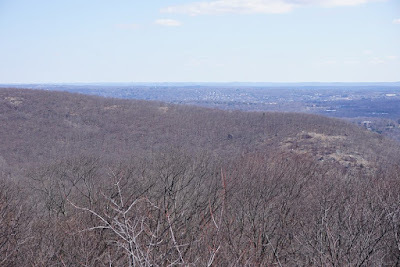 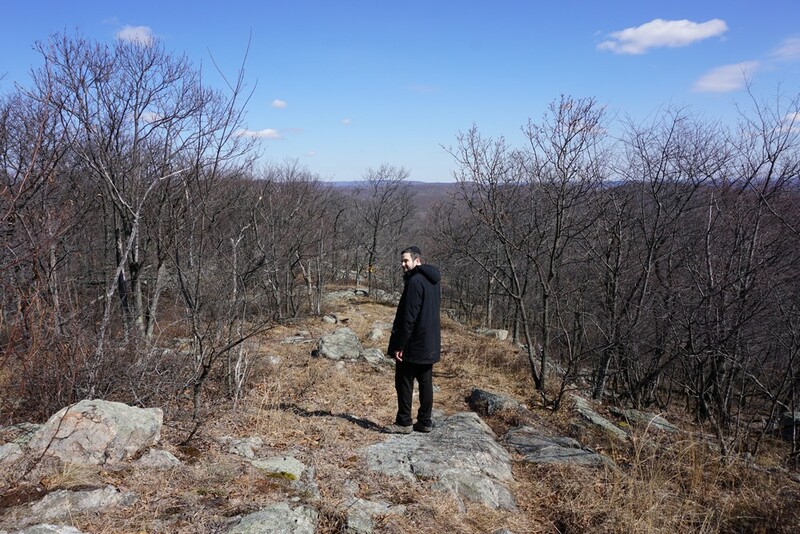 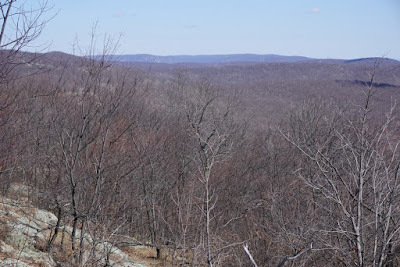 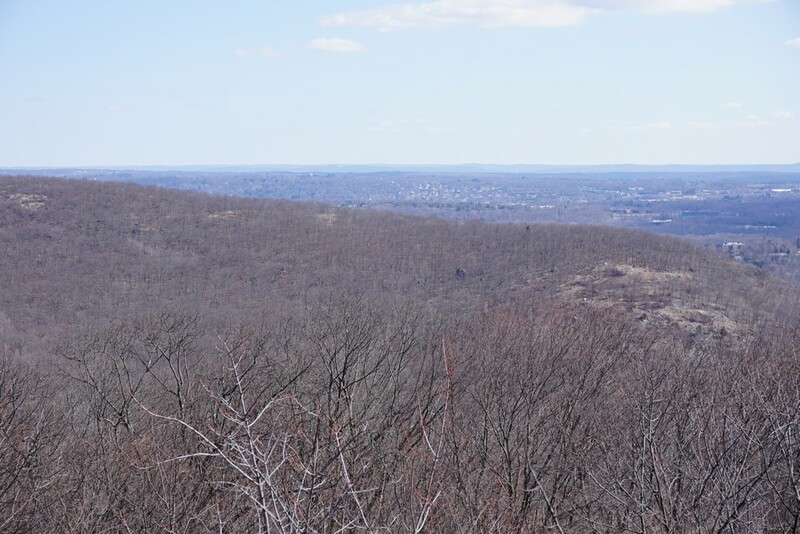 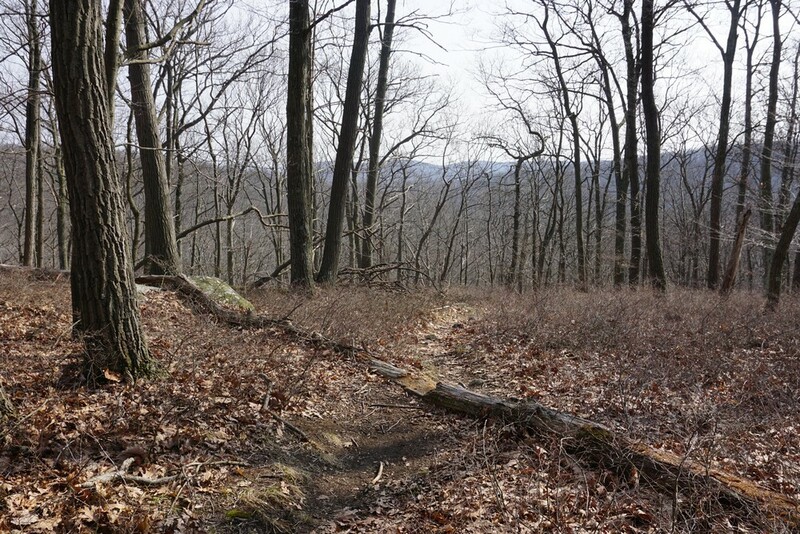 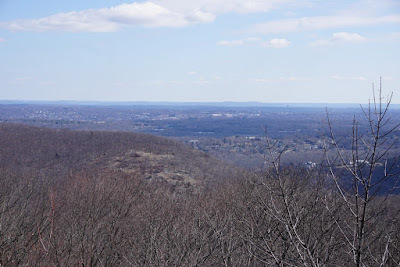 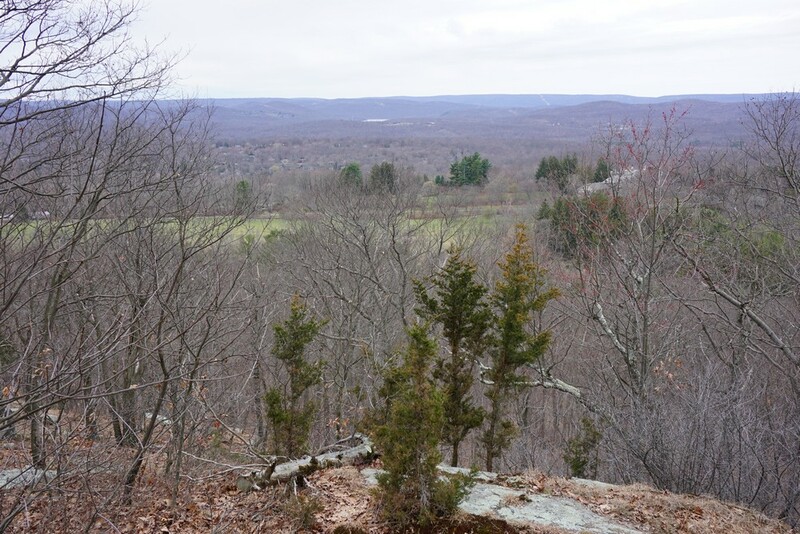 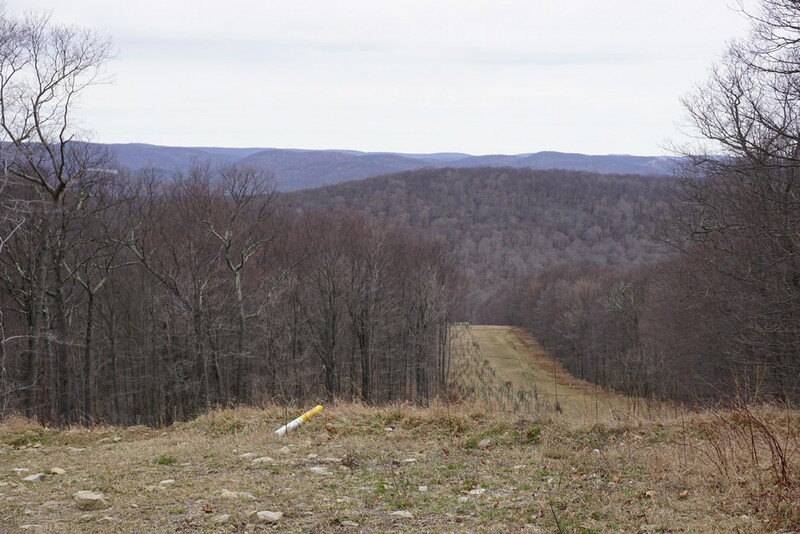 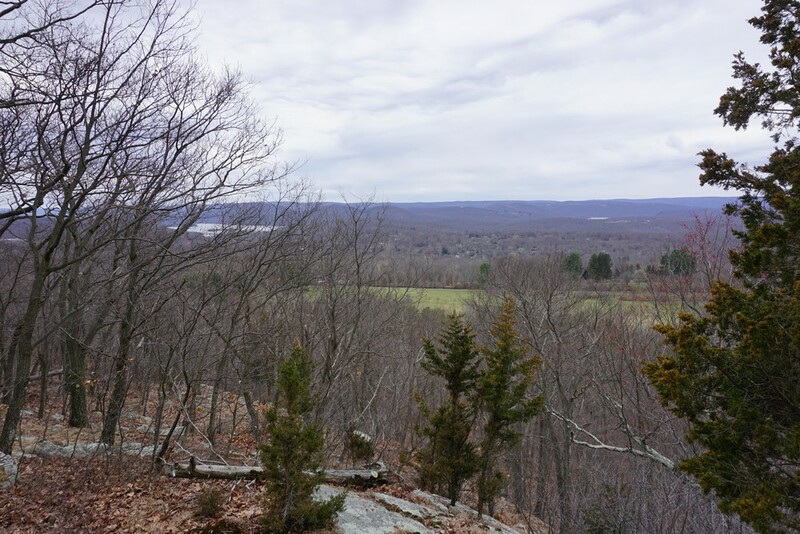 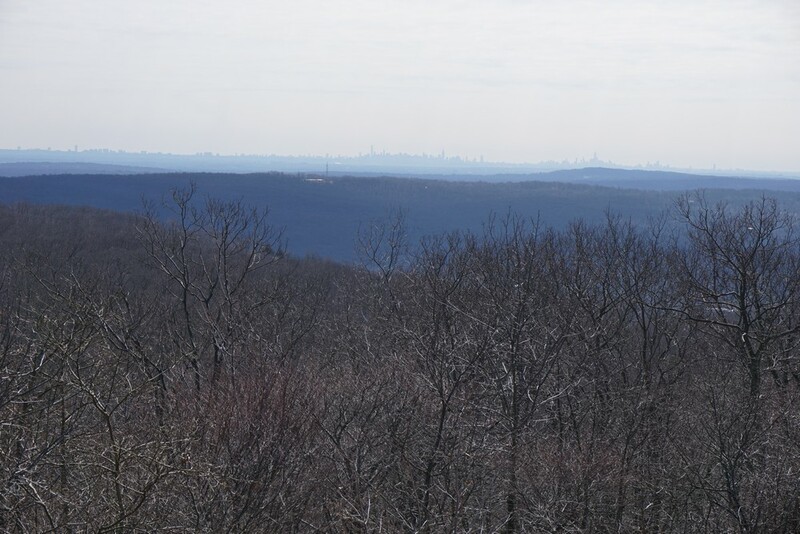 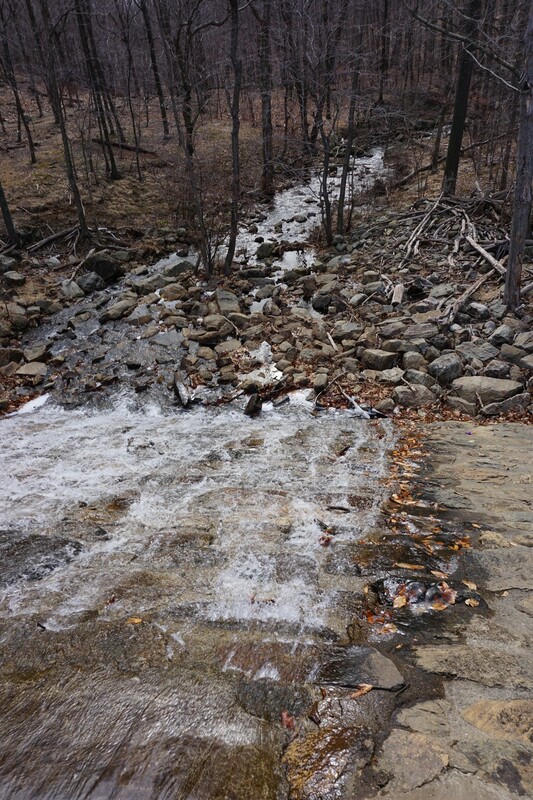 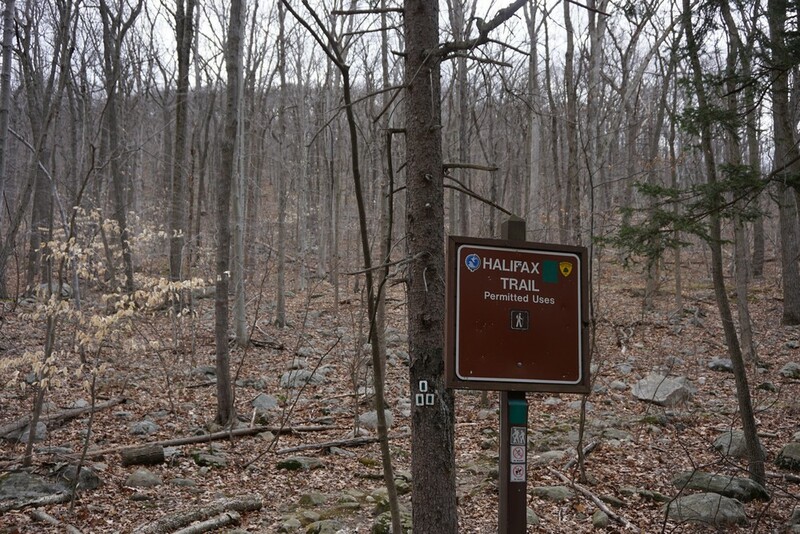 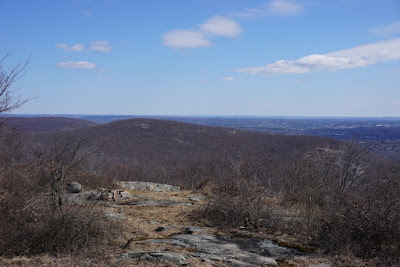 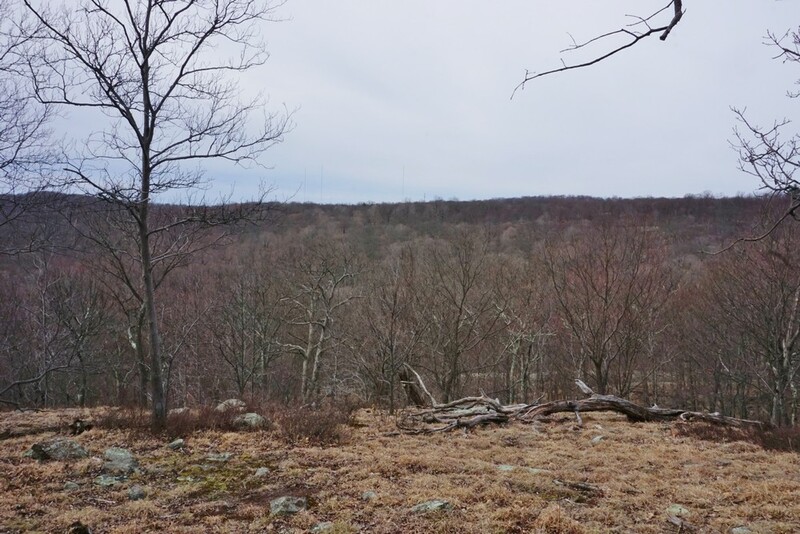 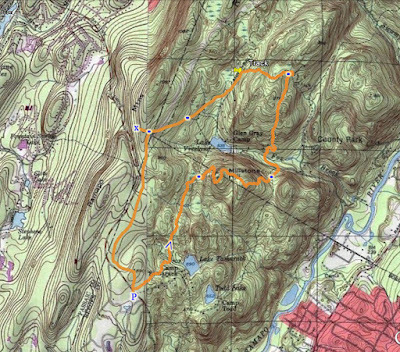 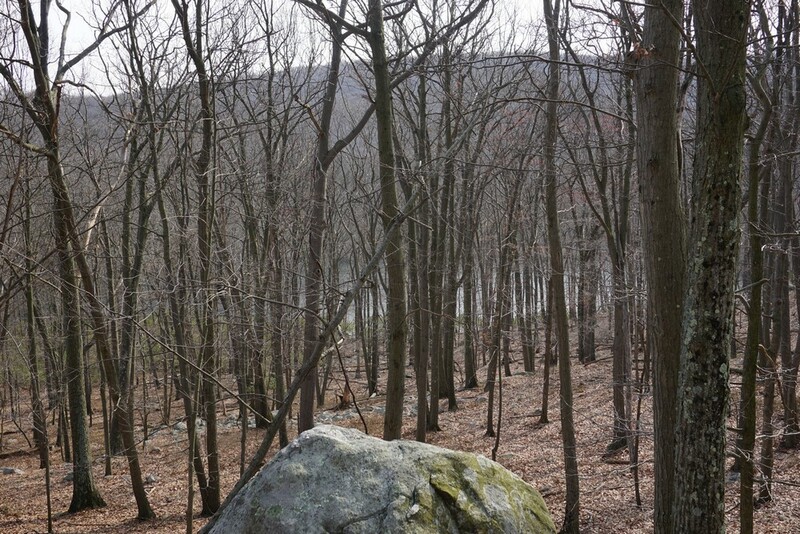 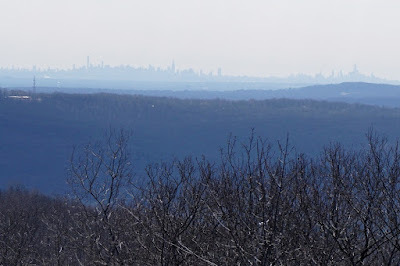 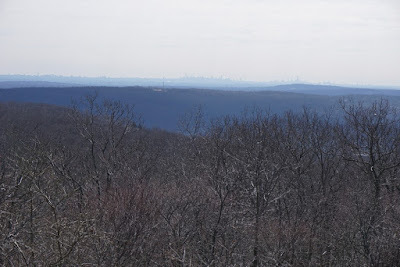 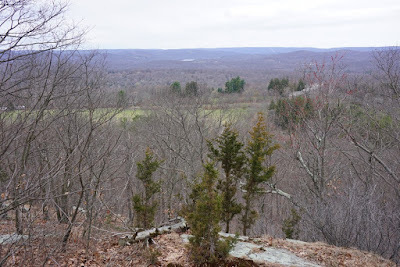 We took this trail to end, where it overlooks the Wanaque River Valley and Skyline Drive directly below. 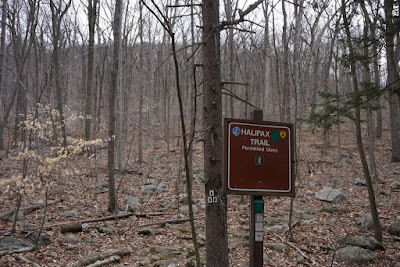 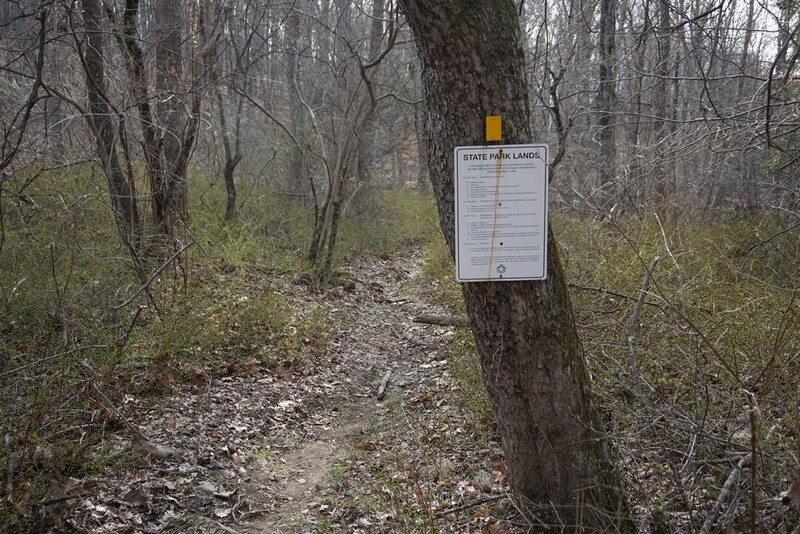 We then turned around and took the combined Hoeferlin Memorial Trail and Cannonball Trail back towards the parking trailhead, going parallel to the road along the way.